Cypress Development Completes Drilling at Clayton Valley Lithium Project in Nevada | Cypress Development Corp.
Vancouver, BC - Cypress Development Corp. (TSX-V: CYP) (OTCQB: CYDVF) (Frankfurt: C1Z1) ("Cypress" or the "Company") is pleased to report that its infill drilling program at the Company’s Clayton Valley Lithium Project in Nevada was completed. The program commenced in March and was a critical step in the prefeasibility study (PFS) currently underway with Ausenco Engineering Canada Inc., Global Resource Engineering and others. The drilling was focused within a one-kilometer-squared area where six holes were completed to an average of 120 meters below surface grade. 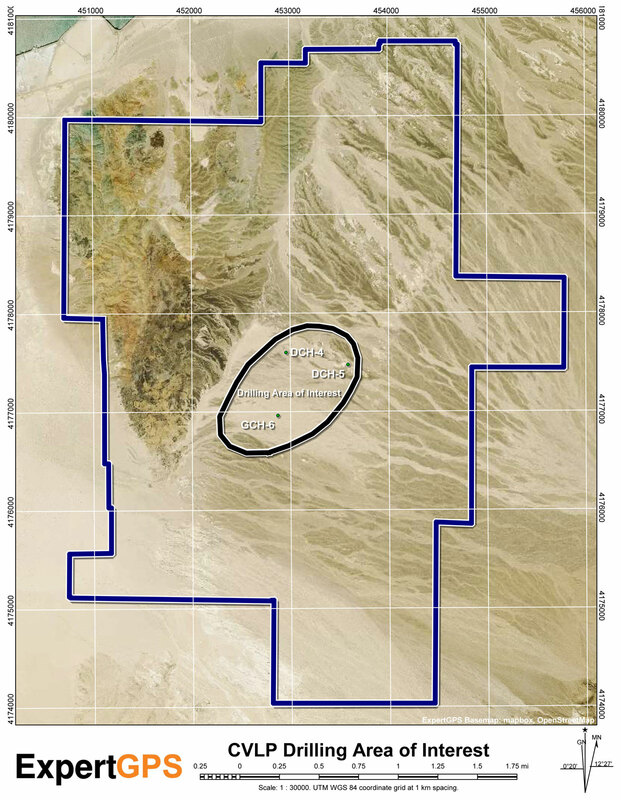 The target area for this phase of drilling was the southwest portion of the initial pit area as described in the October 1, 2018 Preliminary Economic Assessment NI 43-101 Technical Report (PEA). The goal of the program for the PFS was to define an area of relative higher-grade lithium, upgrade the categories of resources and provide the tonnage for the PFS mine plan and production schedule. The program also provided fresh material for geotechnical and ongoing metallurgical testing. All drill cores from the program were geologically logged and delivered to ALS USA Inc. in Reno for sample processing and assay. Cores from five of the six holes were processed through sample preparation in their entirety, with coarse reject material retained for use in metallurgical tests. Intervals from three of the holes were selected and were submitted for geotechnical testing. All assays when received will be compiled along with geological and geotechnical information. The compiled data will then be used to update the resource model from the PEA. Cypress Development Corp. has approx. 73.5 million shares issued and outstanding.